Director- Edward D. Wood Jr.
For fans of cult cinema the name Ed Wood is quite infamous for being dubbed the worst filmmaker and while Ed Wood will never be mistaken for Martin Scorsese, Wood is hardly the worst filmmaker of all time. There is no doubt his movies can’t be called good in the traditional sense and yes they are a hack job, but no more than your average low budget film of the 50s. At the very least Wood’s films can provide some fun and for me that takes the title of worst filmmaker away from him. 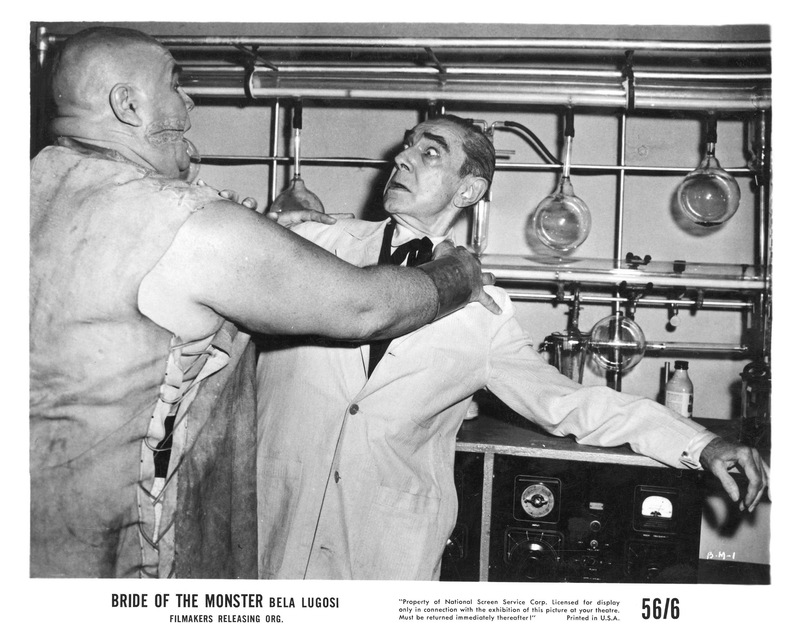 Released in 1956 Bride of the Monster is another schlock film by Wood, which stars Bela Lugosi in his last speaking role. After this film he would appear in The Black Sleep and Wood’s disasterpiece Plan 9 from Outer Space. 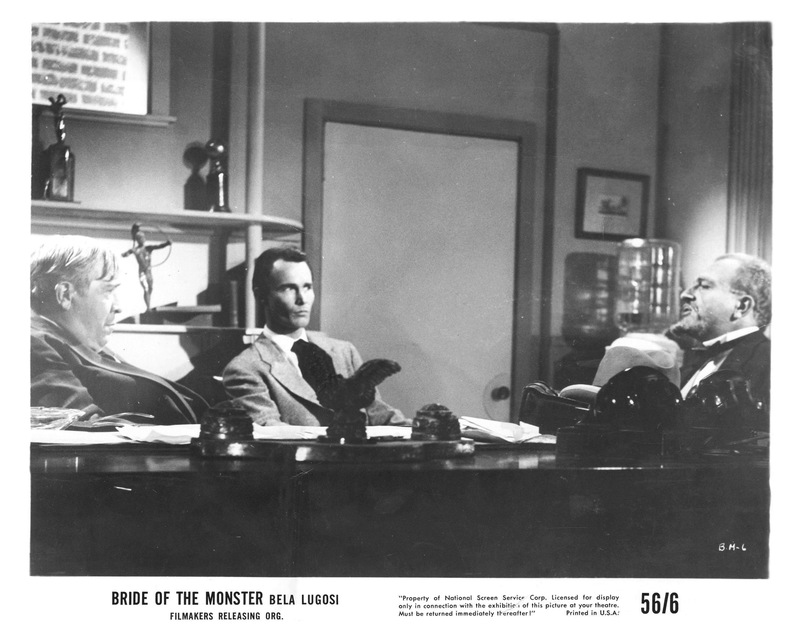 Bride of the Monster would actually have some success and be the only film upon its release that made a profit for Ed Wood. 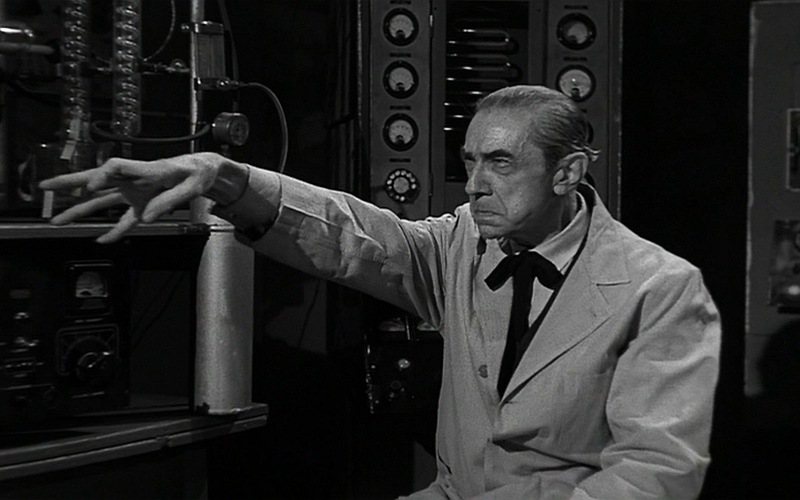 Dr. Dr. Eric Vornoff (Lugosi) is conducting experiments turning people into monsters through use of atomic power and a reporter Janet Lawton (King) decides to look more into the disappearances around the area and soon finds herself abducted by Vornoff. The screenplay by Edward D. Wood Jr. & Alex Gordon is a lot of fun filled with silly dialogue and characters. The plotting is weak, but with that said the script works purely on the camp factor. While many will laugh at the script and understandably so, but when you really break it down its no worse than other schlock films of the 50s and had this screenplay been written a decade earlier would have fit in perfectly with Poverty Row. As director Ed Wood crafts a silly, but somewhat fun film as well. After being dubbed the worst filmmaker people have ran with that status, but filmmakers like Ulli Lommel with such films as BTK Killer and Curse of the Zodiac are far worse in terms of both quality of the films from a technical side. Even films by Bruno Mattei & Claudio Fragasso are on the same level of Wood and even lesser quality at times. Some people label Ed Wood a poor filmmaker due to the goofs, but one of my all time favorite films John Carpenter’s Halloween has a ton of goofs and Halloween is by no means a poor film. 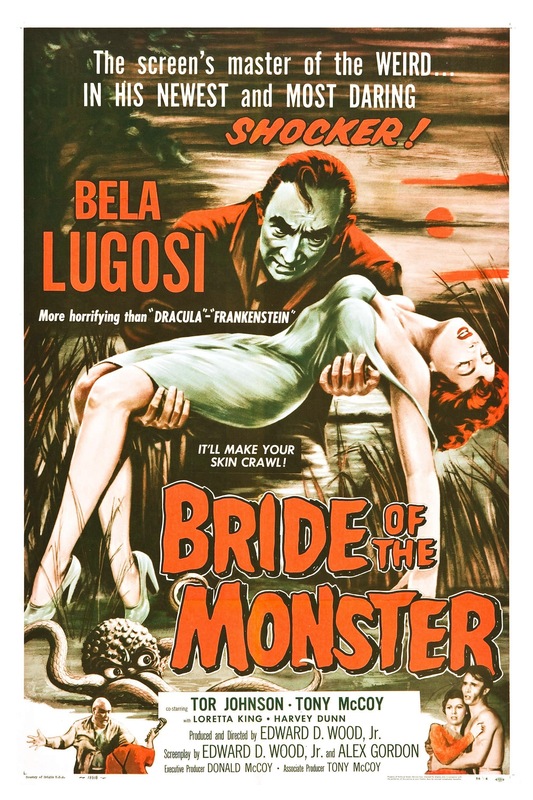 Bride of the Monster like all of Ed Wood’s films are super low budget and time is money and Wood had neither. 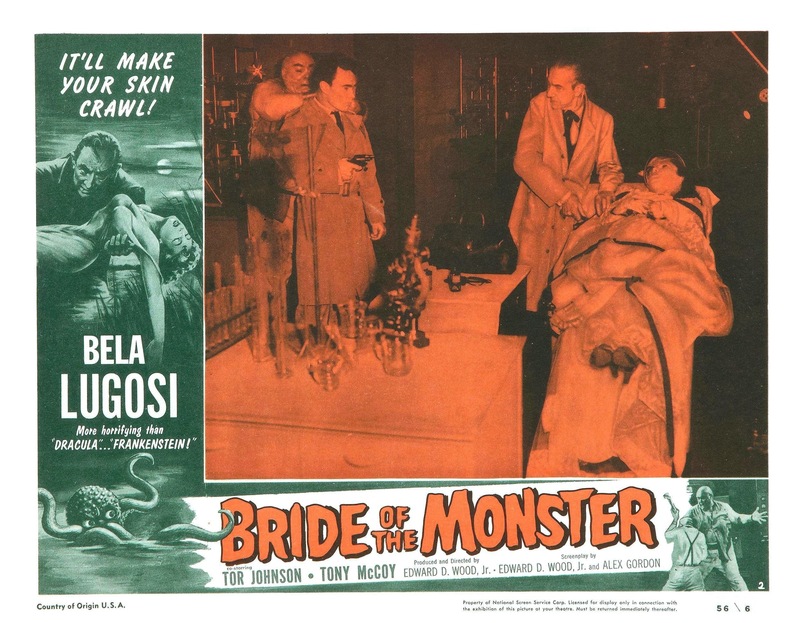 In Ed Wood’s defense he simply does the best he could on very limited funds and the guy had a passion for filmmaking and Bride of the Monster is a fun film and while the pacing can be sluggish in spots the film always retains a fun and campy tone. While the reputation the film has is warranted, but from a filmmaking side it really isn’t any worse than other low budget films of its era. If anything I admire Ed Wood; he had a passion for what he did and he made his films outside the Hollywood system with very little money and while now Ed Wood has a cult status at the time he was making films he was pretty much going unnoticed, but yet still continued on. One has to feel for Bela Lugosi who was so far removed from Dracula. Anyone that followed his career knows how it all went downhill after Dracula and while he made a few Hollywood pictures he was in the shadow of Boris Karloff, than mostly did films for Poverty Row. 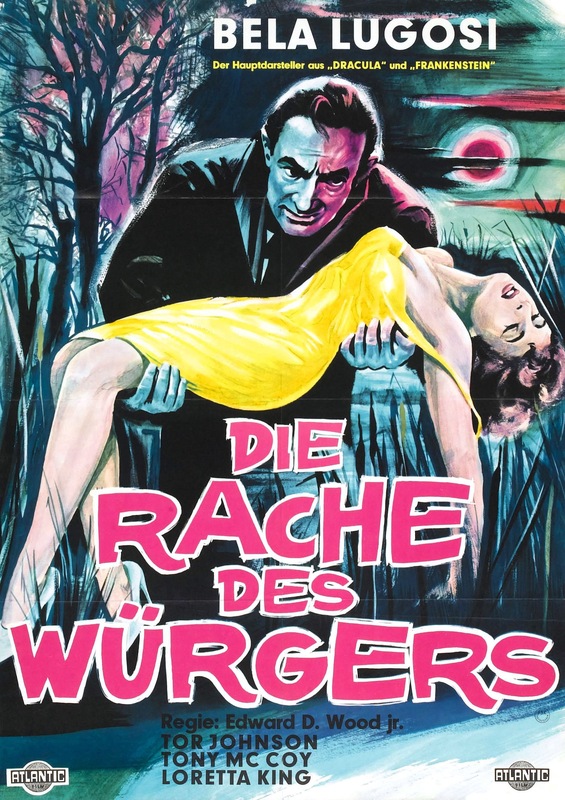 When he had a Hollywood film he may not even have any dialogue (the Body Snatcher). 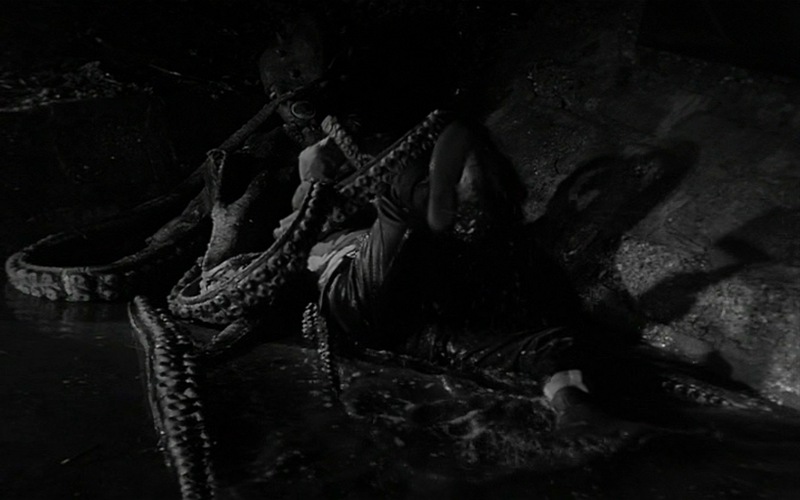 But by this point his career had sunk so low and the infamous scene which he gets attacked by a rubber octopus while funny also really sad to see Lugosi reduced to this kind of role. 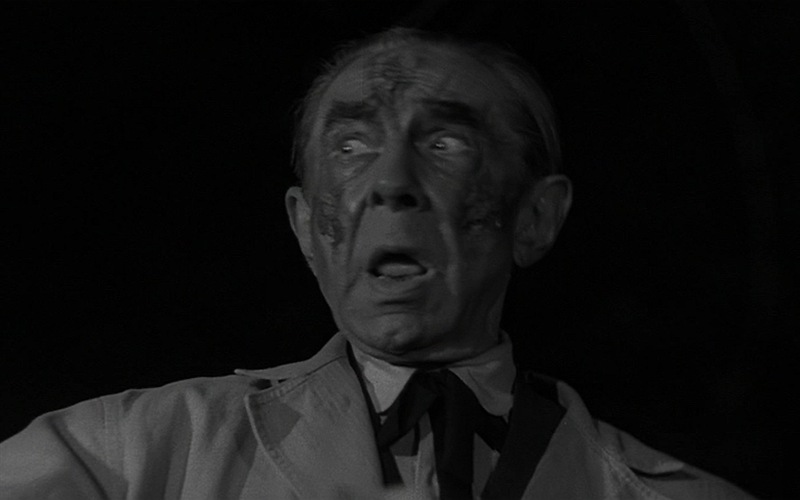 However with that said Lugosi actually provides a very good performance and gives the production a touch of class. When you have such silly things to say its difficult to give a good performance, but Lugosi pulls it off and it isn’t Dracula or anything, but it was a fine performance by a man who took his job very seriously. 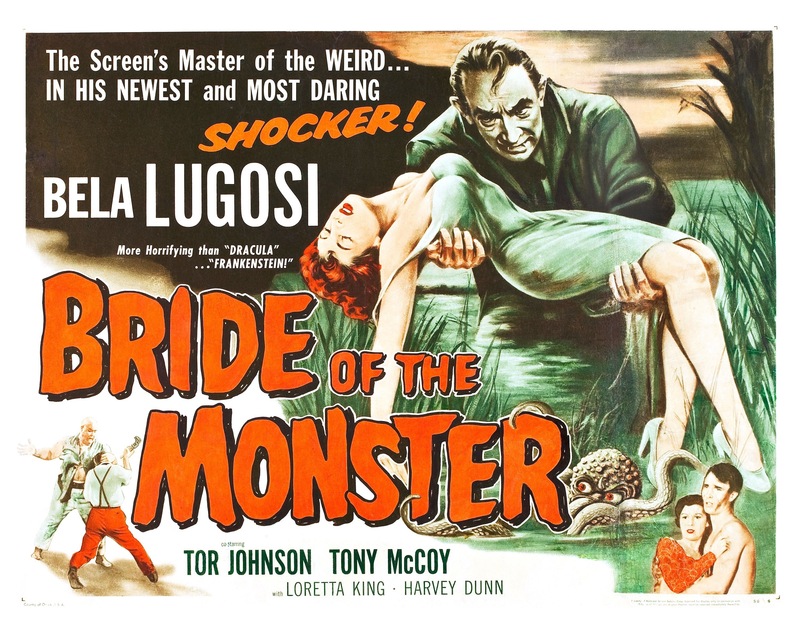 Overall Bride of the Monster is a fun B-Movie that’s high on camp, but also a bit forgettable as well. 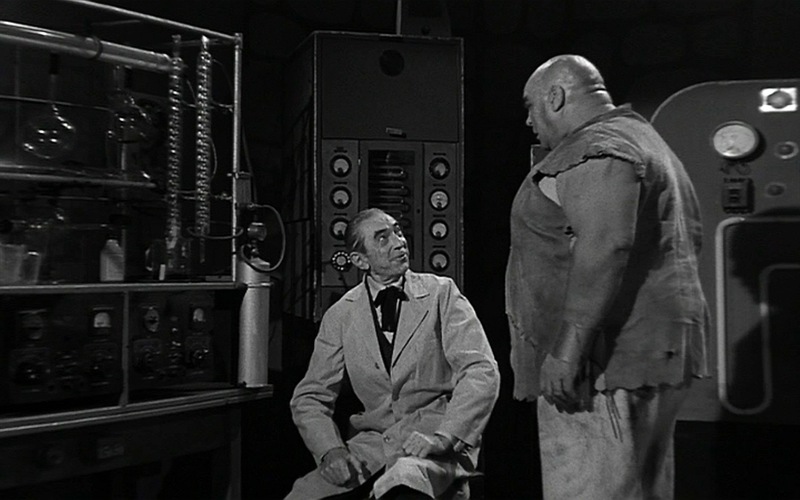 Don’t expect anything like Plan 9 from Outer Space, which is the film that really gave Ed Wood his status as the worst. 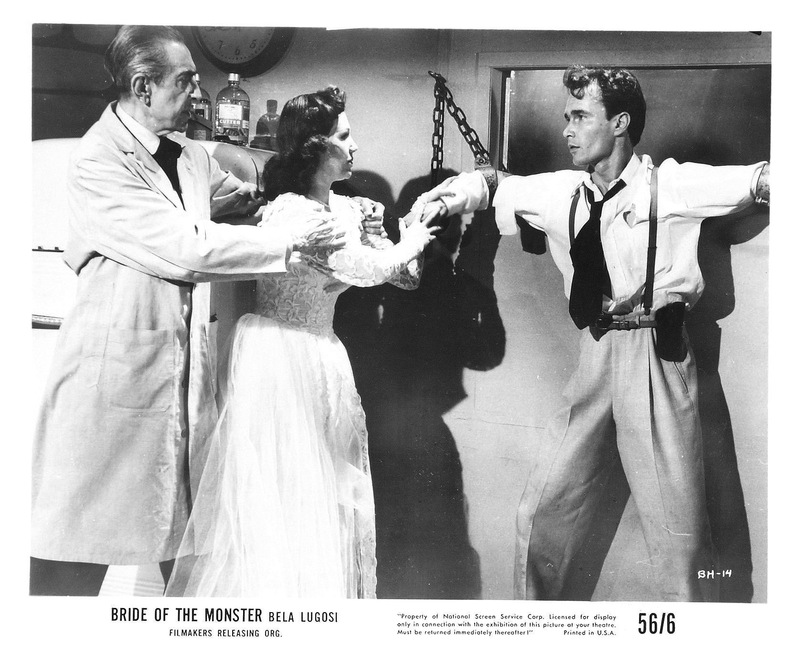 Bride of the Monster isn’t a well made film by any means though its not quite the hack job one might expect. 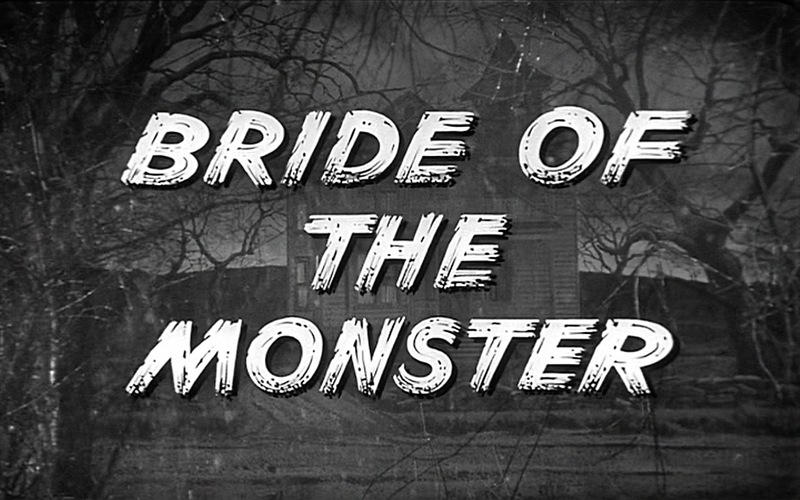 Bride of the Monster again isn’t any worse made than most low budget films from the era. 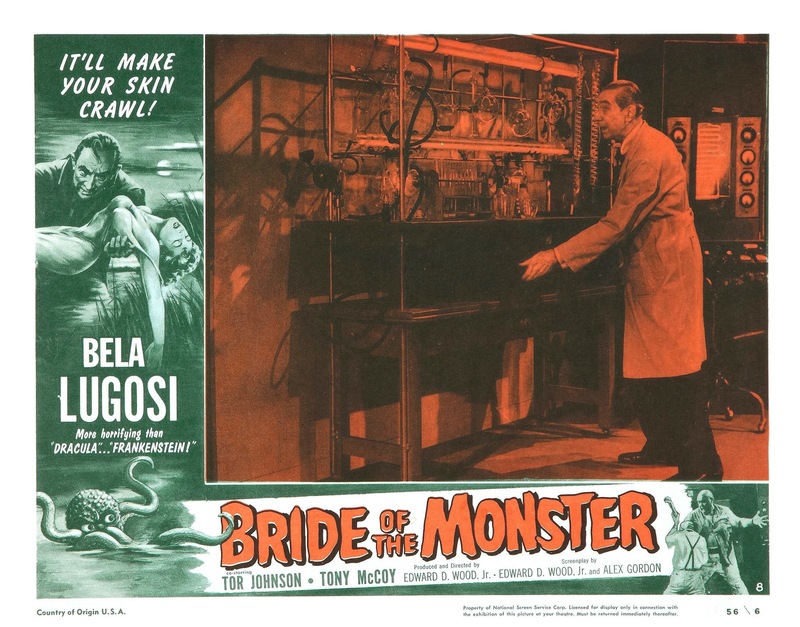 This isn’t nearly as fun as Plan 9, but for those into schlock cinema Bride of the Monster should fit the bill. 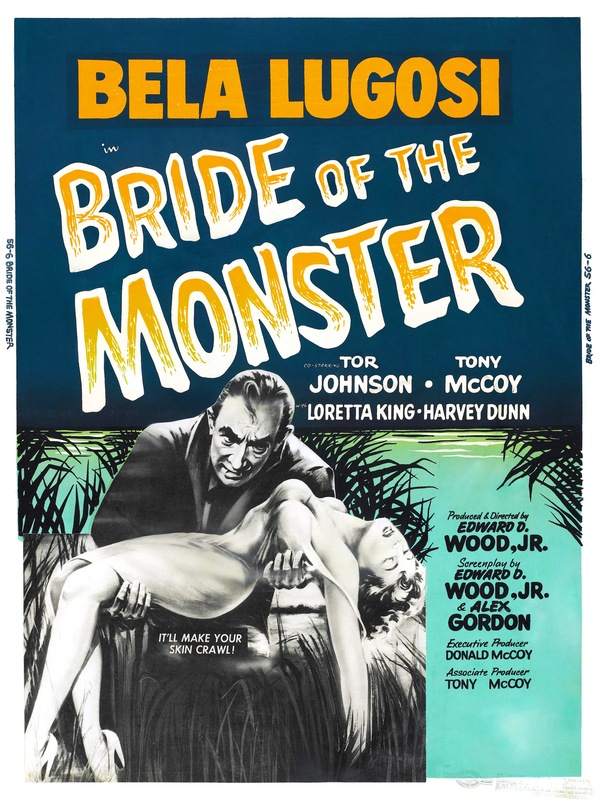 Bride of the Monster was released in 2008 on DVD by Legend Films a company that specializes in colorized versions. Among their other titles are Last Man on Earth, House on Haunted Hill, Night of the Living Dead and Wood’s Plan 9 from Outer Space (blu-ray). However fear not all these films including Bride of the Monster also come in their original black and white release. 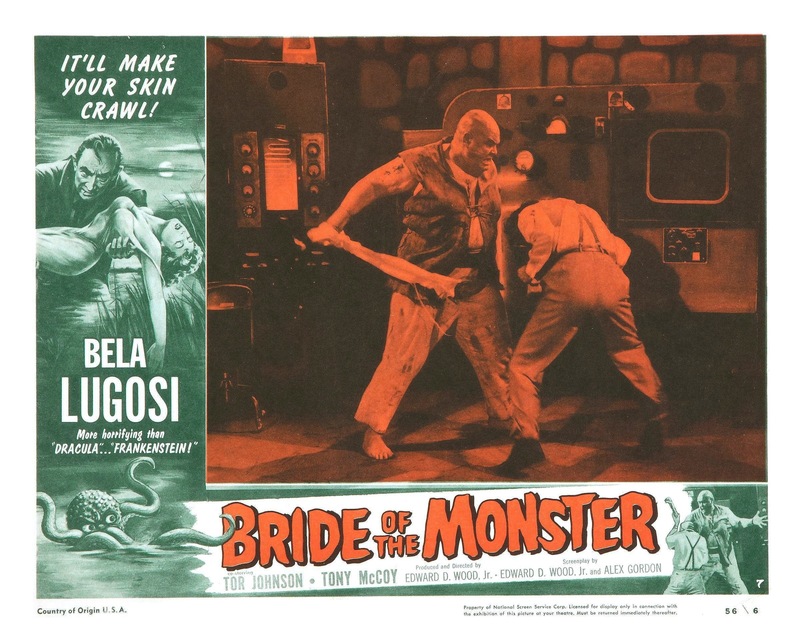 It’s interesting seeing this (and others) in color and while they actually don’t look bad I always stick with the black & white and Legend Films actually deliver a fairly good transfer for Bride of the Monster.